People love their sausage in Europe. However, a savvy consumer in Sweden is a bit too sausage smart, and he or she recently got a prominent sausage-maker in trouble with the government due to some complaints. 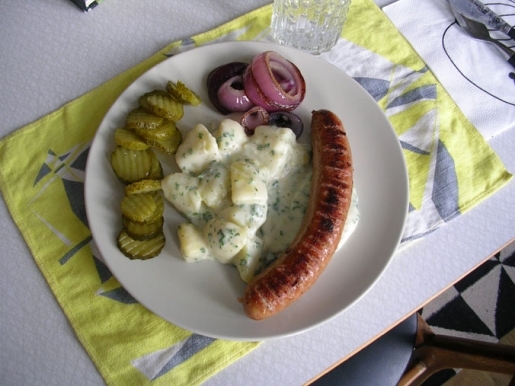 Apparently, Trangsviken Chark sausages are just too meaty, and that’s troublesome. An angry customer wrote the Swedish consumer protection agency to complain that a pack of sausages he bought contained 104 percent meat, saying that the label was false. “Personally I can’t accept that anything contains over 100 percent. And this sausage couldn’t possibly contain more than 100 percent meat as there are other ingredients stated on the label,” complained the unnamed man, who bought a pack of sausages made by Trangsvikens Chark while on holiday in Are, Sweden. Some people are just never happy, are they? Too much meat, not enough meat–sometimes you just can’t win.